One of the ideas behind the building of Abdallah House was to share the experience and inspire other people. 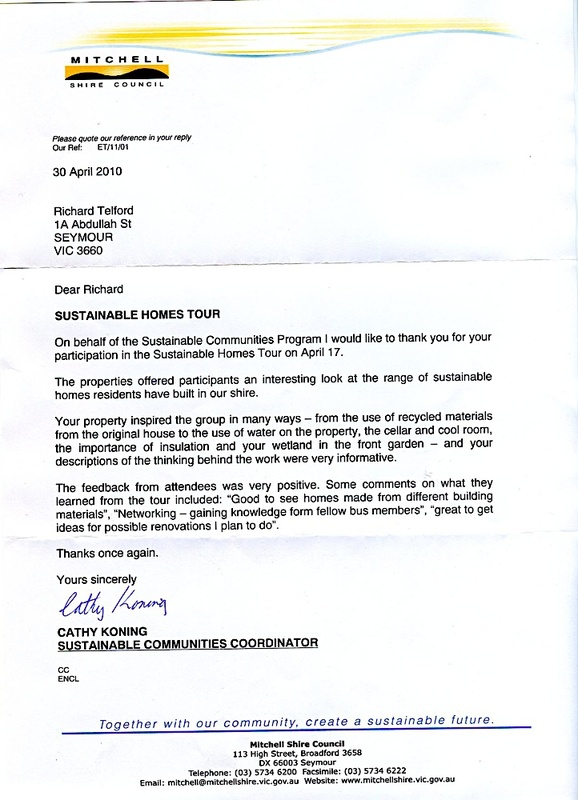 Earlier in the year I was contacted by Cathy Koning from the Sustainable Communities Program and invited to become part of the Sustainable Home Tour, the first of its kind in the region. Of course I was delighted to be involved. 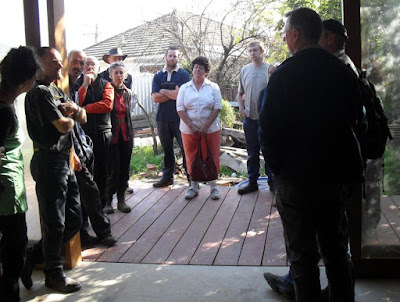 There were three houses on the tour, Abdallah House in Seymour, a stone cottage in Tallarook Ranges, and a strawbale house in Kilmore. You can see the case study of the tour here. 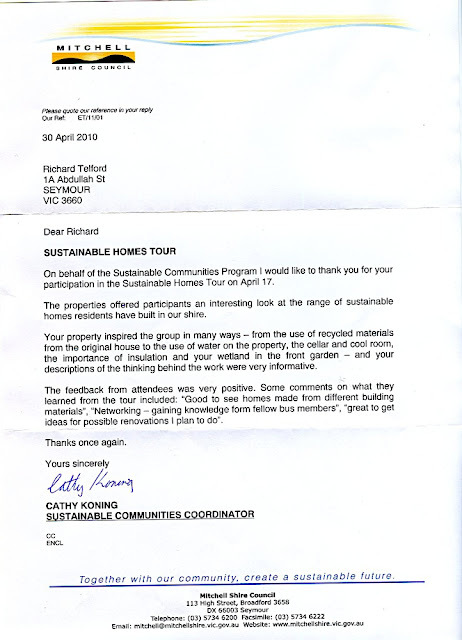 I was sent this letter in thanks for my participation in the event, with some feedback from the attendees. 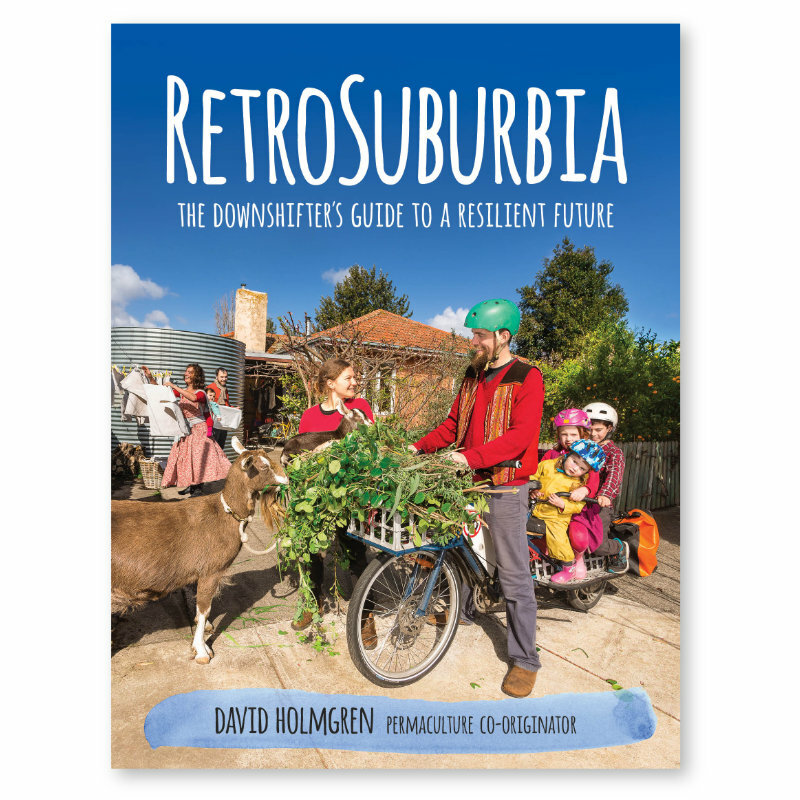 I would love to be part of other similar events in the future, and have been thinking about running tours of our own, along with workshops on 'low impact living'... sometime in the future.